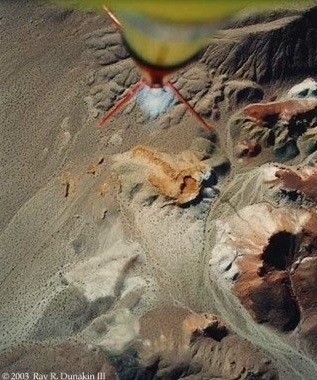 I’ve combined art and science in these amazing photos taken by 35mm cameras onboard custom built rockets. Some depict colorful scenery or unusual topography. Others provide an interesting view of old mines or ghost towns. And every photo captures the excitement and action of rocket flight! Each image can be purchased as a ready-to-frame, glossy 8” x 10” print. Prints come mounted, matted and signed. They make great gifts too! Email raydunakin@aol.com for ordering information. 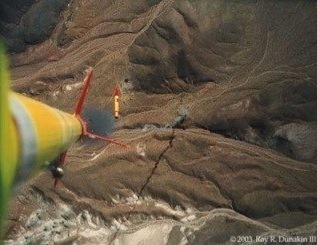 Want to know more about the rockets and cameras used to capture these images? 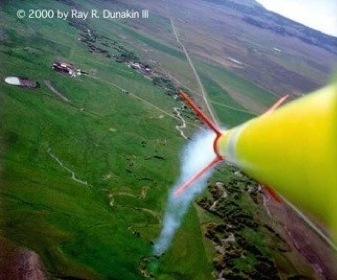 Looking for information about sport rocketry? Want to see some cool liftoff photos? You can find it all here! In 2001 I attended the 20th annual “Large and Dangerous Rocket Ships” launch. This is the Tripoli Rocketry Association’s national convention for high power rocketry, held in different locations around the country. I have a few aerial and on-site photos of this event. Click here to go to my main photo album list.